CYC Members may post boats or other items for sale here. All posts are visible to anyone who visits the website and are public. 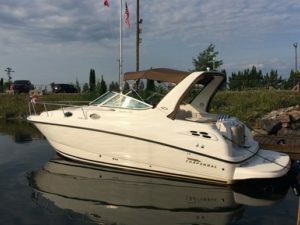 We recommend you use a For Sale page such as boatdealers.ca or kijiji.ca and provide the link to the item to be posted here. Members can submit the details of their For Sale items to info@collingwoodyachtclub.com to be posted. Please notify us if your item is sold so it can be removed. Thank you! Chaparral Signature 30 1998 For Sale: Click here for online listing!